The Mini-Workshop Multiscale Asymptotics was organized by the members of the A1 project on September 26th-27th 2017 at the LMU in Munich (Germany). The purpose of the workshop was to initiate collaborations as well as to discuss upcoming scientific projects with leading experts in this field. 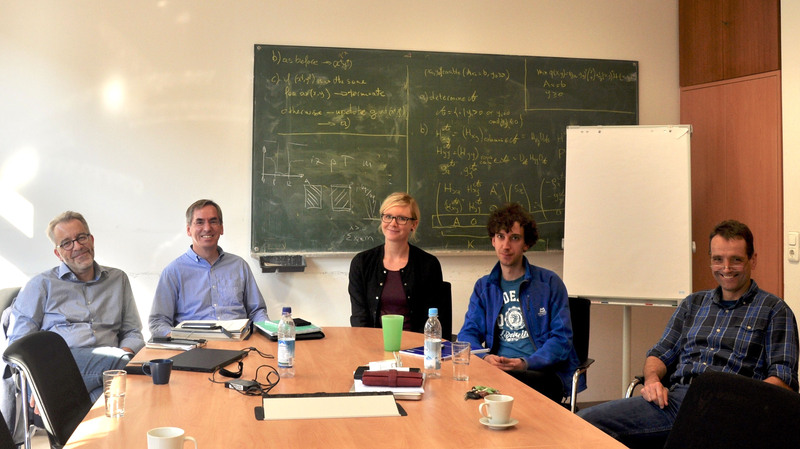 To this end, Prof. Rupert Klein (Freie Universität Berlin), Prof. Ulrich Achatz and Dr. Stamen Dolaptchiev (both Goethe-Universität Frankfurt) gave presentations on their work on multiscale asymptotics and gave thorough and helpful input on future research plans. The program of the workshop is available here.